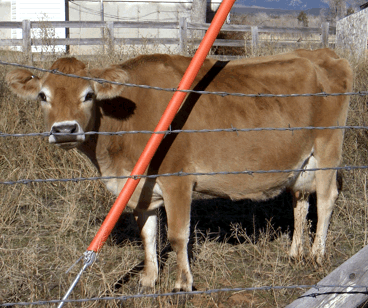 This is a new paper that may provide some insight into cattle genetics. 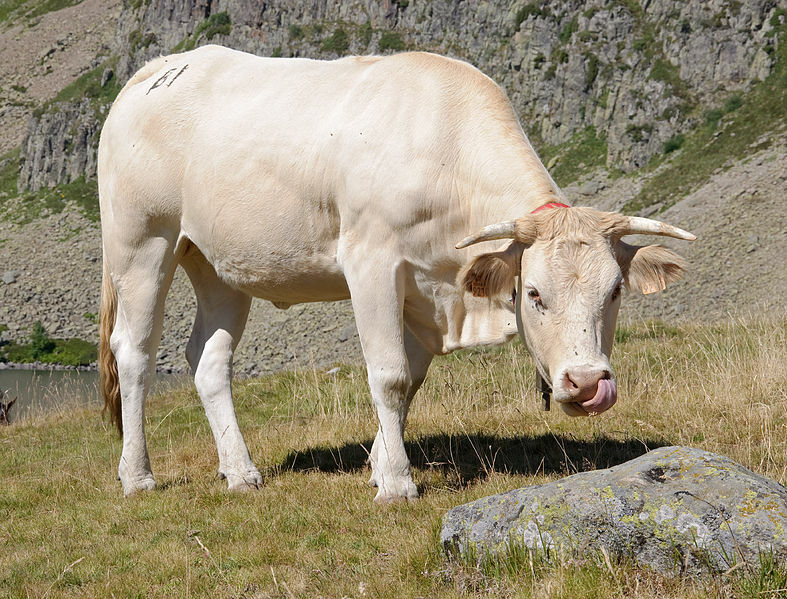 However, while Zebuine breeds are widely sampled, European breeds other than French (and a handful of NW European, Swiss and Italian breeds) are not, what makes more difficult to make a comprehensive assessment. Mathieu Gautier et al, Insights into the Genetic History of French Cattle from Dense SNP Data on 47 Worldwide Breeds. PLoS ONE 2010. Open access. Legend is found at supplementary table S1 (download). It is interesting that even at K=47 some populations still do cluster, a sign of a very intense relatedness that in some cases may be obvious (Angus varieties, Holstein from Europe and America) but in others maybe not so much. The orange cluster includes most French and Swiss breeds (partial exceptions found only in the NW) and even permeates somewhat into England (Hereford) and Norway. It also includes Italian and Moroccan breeds, even if these have something of zebu. The purest representative is the Blond d’Aquitaine. The yellow cluster has Holstein as only pure representative but makes up the largest part, or at least a sizable fraction, of NW European cattle, from the Loire to Norway. Next to Holstein in purity is Angus, a Scottish breed. At K=10, Angus and Hereford already display their unique personalities anyhow, suggestive of an early divergence, possibly within the British Neolithic, a relatively late phenomenon, while the other NW European breeds, continental, still look “hybrid” instead. The small green cluster is restricted to the Jersey breed. The non-European or zebuine components don’t show but a cline across Africa, with extremes in West Africa and India. Plus the distinct Lagune breed from Benin. This pattern remains pretty much the same at K=10. The two rightmost breeds are modern North American taurine-zebuine hybrids. At K=10 it is apparent the dominance of Hereford and Angus components in each but at lower K levels they look identical. However at K=47 they appear as totally distinct clusters each on their own right, probably because of extreme inbreeding. Back to European breeds, the authors speculate somewhat with a dual Mediterranean and Danubian Neolithic origins but the stop short of proclaiming any theory because they have to admit that their sampling is too limited for anything like that. I must say that I know of no archaeological record of any cattle (Bos sp.) being associated with Mediterranean Neolithic (Cardium Pottery). This culture was specialized in fishing and ovicaprids, probably with some pigs too (and, of course, cereals, pulses and olives), not bovine cattle. But I’m not really sure how cattle was incorporated into these areas’ economy, what certainly happened by Chalcolithic times at least, when bulls become a popular artistic and maybe religious motif in south Iberia (competing with deer, sometimes up to the point of transforming an animal into the other). What seems pretty apparent is that a Chassey-La Lagozza (proto-Ligurian?) Chalcolithic origin can be speculated for this cluster. 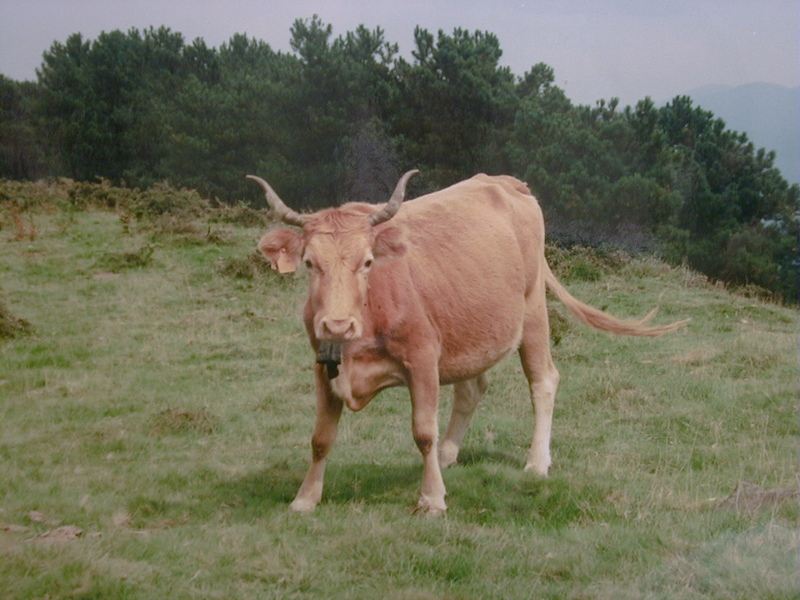 A lot should depend on Balcanic, Central European and Iberian affinities or differences, not considered here, but I can already say that the Blond d’Aquitaine looks similar to the usual montane Basque types, such as the Betizu, though these are usually reddish in color and have somewhat larger and often characteristically-shaped horns.